In an interview with GAMURS, Zachary Smith, CEO of MoneyMatches, confirmed that Avyd employees were let go and that he is a part of the holding company who acquired the assets of the company. In a complex deal struck earlier this week, a holding company purchased the assets of esports startup Avyd, which has been developing a competitive gaming service since forming over a year ago. The holding company, which is run by Zachary Smith, also acquired Smith’s company, MoneyMatches, a startup service that will offer legal esports gambling. 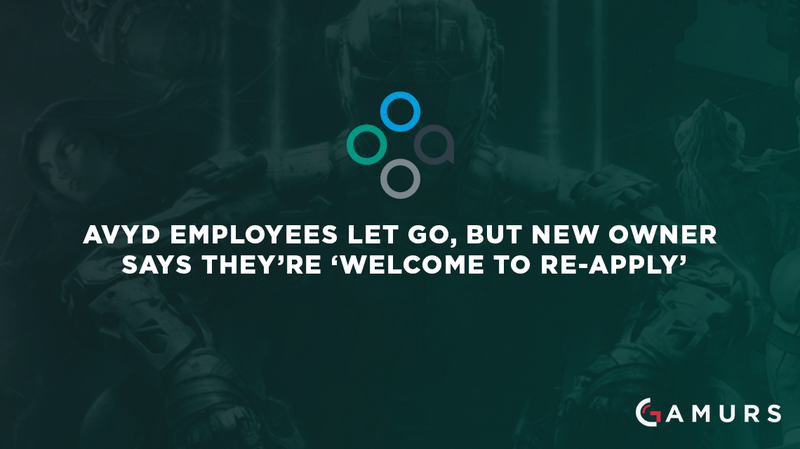 After the news was first reported on GAMURS, multiple Avyd employees announced they were leaving the company. It was unclear at the time if the employees chose to leave or were fired. In an interview with GAMURS, however, Smith confirmed that all but one of the former Avyd employees were let go as part of the acquisition. The news was confirmed by several sources familiar with the deal. Smith says there’s nothing unusual about company-wide layoffs after an acquisition. “Procter and Gamble acquired a little brand called Gillette for $57 billion,” he said. “And they fired every single person. That’s over 6,000 people. Now does everyone stop knowing how to make razors? I don’t think so,” Smith said. GAMURS reached out to several ex-Avyd employees for comment on this article, but all declined to comment.